Easy checking in and out. Apartment was warm and tidy. I am a coeliac and eating out can be problematic. Having my own well equipped kitchen was a big advantage. Apartment was ideal for that. Birmingham a great city to visit. The man at reception was really helpful and very kind. They put a travel cot in for me last minute. Apartment was really good the location was great and the staff and facilities were very good too would reccomend anyone to stay here and would stay here myself too. The staff were friendly, the location was fantastic and it just felt really homey. Pleasant place for a wee break away. The guy in the front desk was really nice with us. The location is really good, and the bed is nice. Comfort Zone This rating is a reflection of how the property compares to the industry standard when it comes to price, facilities and services available. It's based on a self-evaluation by the property. Use this rating to help choose your stay! 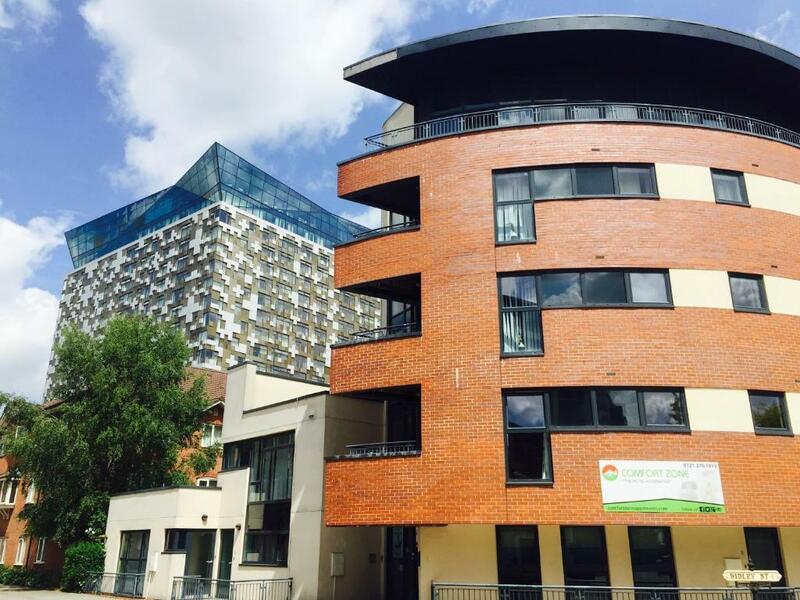 Located just behind The Mailbox Center in Birmingham City Center, Comfort Zone offers stylish apartments featuring a fully equipped kitchen and open-plan living room. A wide range of designer boutique shops, restaurants, pubs and wine bars, as well as leisure facilities can be found at The Mailbox and Cube complex, which is 250 feet away. The National Exhibition Center and Birmingham Airport are both just 30 minutes’ drive from the apartments. The ICC, Birmingham New Street train station and the famous Bull Ring Shopping Center are approximately 10 minutes’ walk away. 뀐 Located in the top-rated area in Birmingham, this property has an excellent location score of 8.4! When would you like to stay at Comfort Zone? This apartment features a king-size bed and a sofa bed in the lounge. 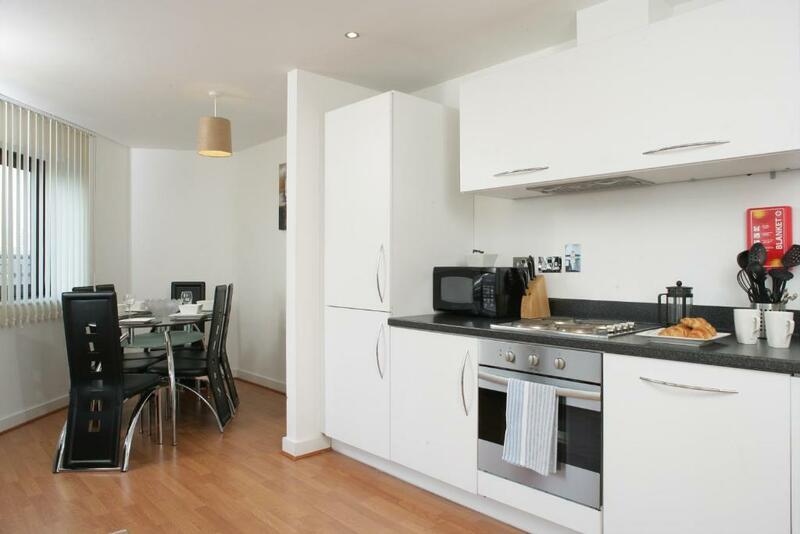 A separate spacious open-plan living room and kitchen are also provided. One of these apartments are located on the ground floor. This apartment can accommodate a maximum of 3 guests, and it cannot accommodate an extra bed. With garden views, this apartment also features a king-size bed and a sofa bed in the lounge. A separate open-plan living room, kitchen and a large balcony are also provided. An extra bed is available on request and subject to additional fee. The bed will be set up in lounge area and there will be limited space. This apartment features a flat-screen TV in the lounge. A separate spacious open-plan living room and kitchen are also provided. Overlooking the gardens, this apartment features a separate open-plan living room and kitchen. Free Wi-Fi is also provided. Overlooking the gardens, this apartment features a balcony and a separate open-plan living room and kitchen. Free Wi-Fi is also provided. This apartment features a washing machine, toaster and oven. This apartment features a sofa, kitchen and stovetop. 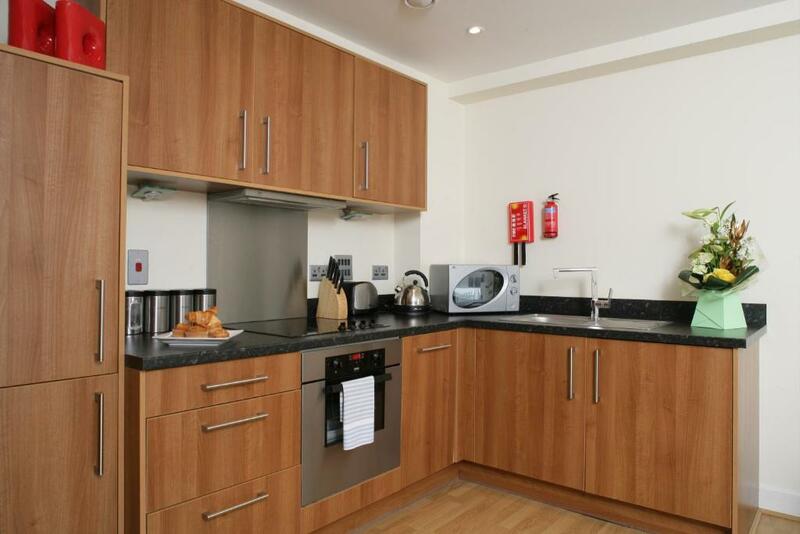 Comfort Zone Apartments are the ideal Hotel alternative for those requiring more from their stay in Birmingham. 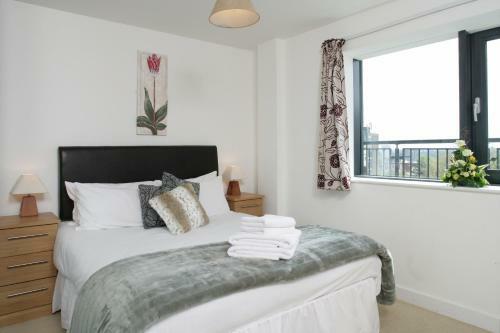 Check in to our well managed serviced apartments in Birmingham and feel the difference in Space and Comfort. We are a small family run company so attention to our customers needs and cleanliness is of utmost importance. 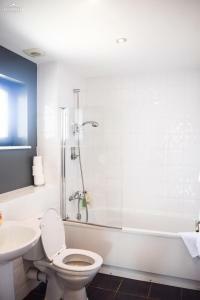 So if you want to stay in a clean, safe and friendly environment with that personal touch then book with us. We are facing the Unique Peace Garden, a tranquil small park area with remains of a Church bombed during the war and a Memorial which was moved brick by brick from the location of the ICC in Broad Street, when the ICC was built. 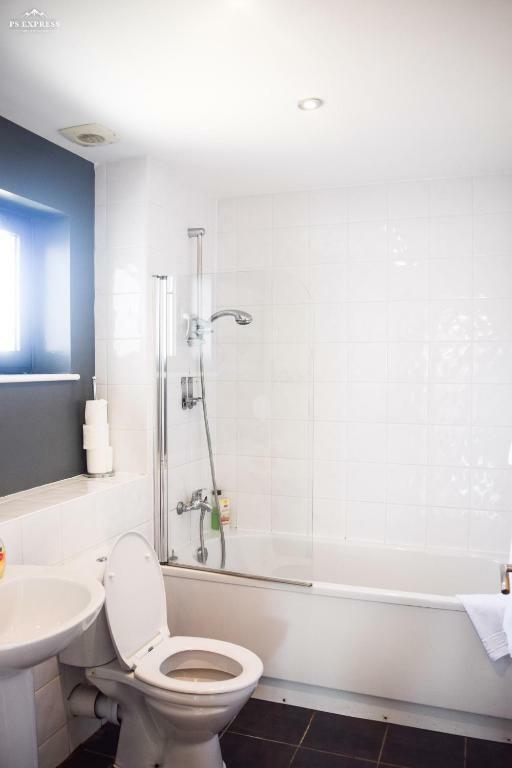 We are 2 minutes walk to the Mailbox shopping complex, housing the BBC, numerous designer shops including Harvey Nicks and some delicious Restaurants on the Canal front. Next door to this is the latest Birmingham Iconic Building, the Cube, with very chic cafe's and restaurants. House Rules Comfort Zone takes special requests – add in the next step! A GBP200 damage deposit is required on arrival (around USD258.14). This deposit will be fully refunded 0 days after check-out, as long as there isn't any damage to the property. Comfort Zone accepts these cards and reserves the right to temporarily hold an amount prior to arrival. A security deposit of GBP 200 per apartment is required upon arrival for incidentals. This deposit is fully refundable upon check-out and subject to a damage inspection of the accommodations. Please be aware that Comfort Zone apartments operates a strict no-party policy. The maximum number of people per apartment cannot exceed the number of guests listed on the reservation. The property do not allow any extra visitors. If this condition is breached guests will be charged the full security deposit as a penalty. The lead guest must be at least 21 years old. All guests under the age of 21 must be accompanied by an adult over 21 years of age. Failure to check-in by 21:00 on your booked arrival date, without prior notification that you intend to arrive at a later time, may result in your reservation being canceled. Please note, the reception is closed on Sundays. If your arrival is on a Sunday then the property needs 2 hours notice before your arrival time for check-in after 15:00. If you make a booking on a Sunday for arrival the same day you will need to call the property's out of hours helpline to give them 2 hours notice for check-in or advise them of your desired time of arrival after 15:00. Limited on-site parking is available at GBP 10 per space per night. This is booked upon arrival and is on a first-come, first-serve basis. With at least 24 hours' notice, breakfast can be ordered at an additional charge of GBP 8 each. Please note that check-in and key collection take place at: 5 Ridley Street, Birmingham B1 1SA. Please inform Comfort Zone of your expected arrival time in advance. You can use the Special Requests box when booking, or contact the property directly using the contact details in your confirmation. A damage deposit of GBP 200 is required on arrival. That's about 258.14USD. You should be reimbursed on check-out. Excellent location; large apartment; good shower; decent kitchen. No use of bath, would be useful to have a dishwasher tablet and odd bits like that and for the spare bed sheets to be made. All small issues. Grear location and lovely modern communal area. Staff fantastic! Nothing to complain or moan about anything at all. A few minor damages in the room upon arrival. You couldn’t andgle the shower head but apart from that all was fine. There were cracks and bumps and scrapes in every room. As you can see from my pictures. Asked for a refund and was made to sign a policy for no bad reviews which goes against booking.com. I felt very bullied as I’m only young. I had to clean the balcony myself after finding 4 fag buds and a can of Fanta. The apartment itself is lovely. But it needs refurbishing as I was told upon departure. Lovely view! Expensive, no electricity in the morning. Security deposit is insane considering the rooms. Paint coming off the wall, hole in a door. On-site parking. Check out easy. Check in easy. Shops local. Very private. The bathroom wasn't easy to use as water couldn't drain off after a shower.